December 5, 2018—It's flu season! The Shaker Heights Schools nurses offer our families these tips on staying healthy and symptoms to look for during flu season. 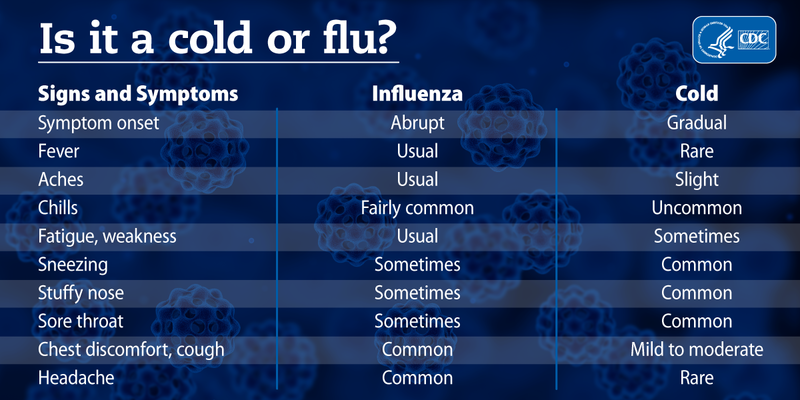 What are Symptoms of Flu ? I Think I May Have the Flu—Now What?? Stay home until you are fever free for 24 hours. Contact your health care provider if you have an underlying medical condition or pregnancy or you have any other concerns. How Can I Minimize the Possibility that I Get the Flu? Wash your hands often using soap and water or alcohol-based hand rub. Do not share personal items like drinks, food or utensils. Cover your cough/sneezes with tissues or arm when tissues not available. Dispose of used tissues in trash and wash your hands. Get the flu vaccination yearly.